The holidays have come and gone and all you are left with your New Year’s resolutions and a massive sugar craving! 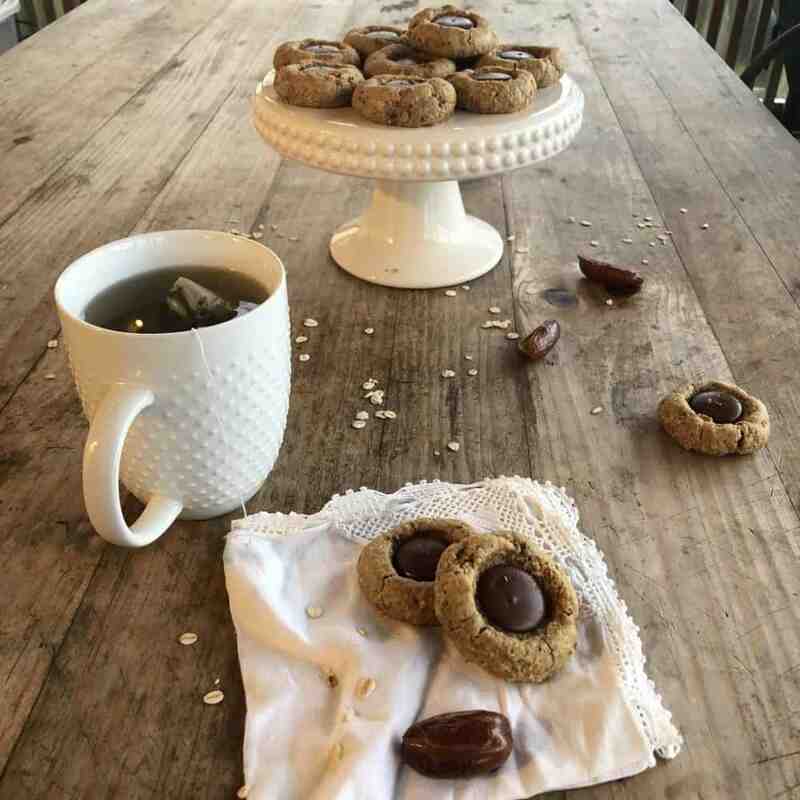 Don’t worry girl, I got your back with these no guilt peanut butter date cookies! My philosphy around “junk food” is it’s all in the balance. Although I wouldn’t call this recipe junk food. The ingredients are full of nutrients that will fuel your body and help you get past your sugar cravings. I just want to say a quick disclaimer before we dig into the recipe. 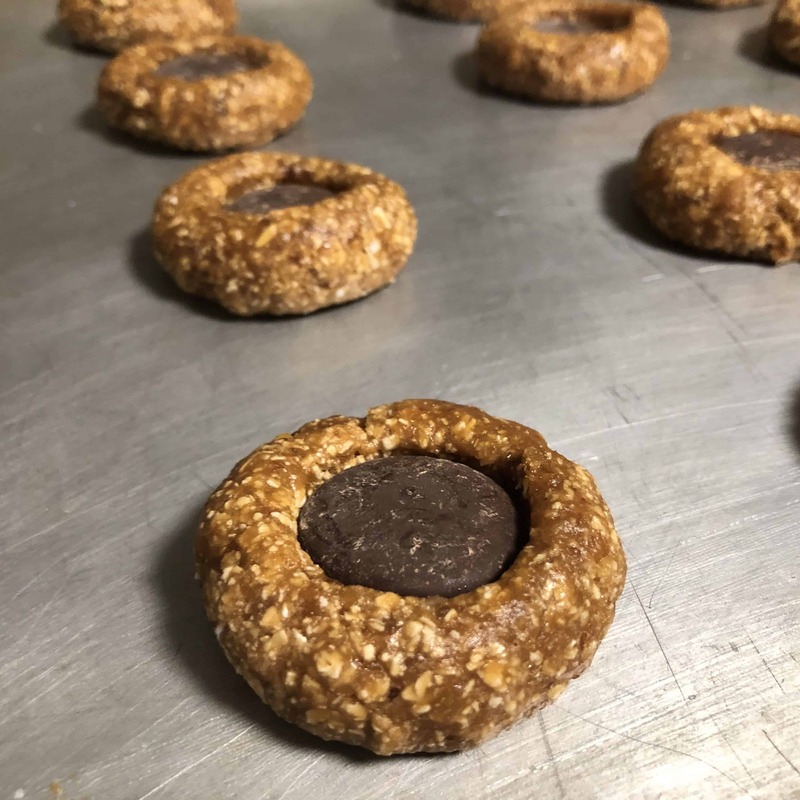 These peanut butter date cookies are going to taste healthy. I’m not saying they taste bad! I happen to love them. But I also eat hemp oatmeal and quinoa veggie bowls on the reg. So if you are the type of person who wants your cookies to taste like Oreos but still be healthy…this recipe probably isn’t the one for you. 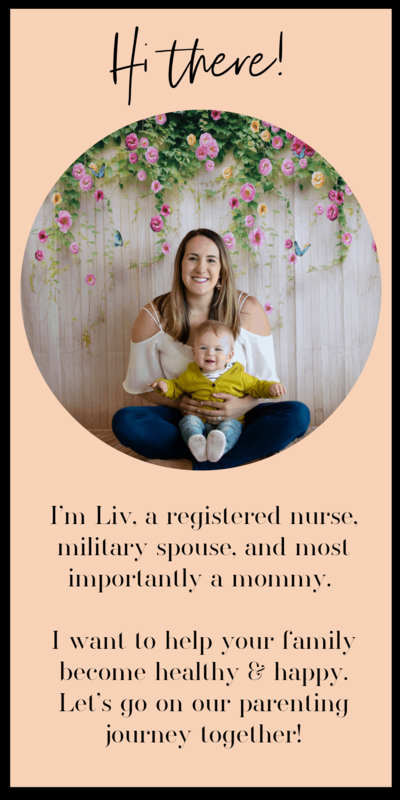 If you are cool with your cookies tasting kinda earthy, read on mama! For this recipe you will need to have a food processor. You could use a blender but it would be much harder to remove the dough so I highly recommend a food processor. 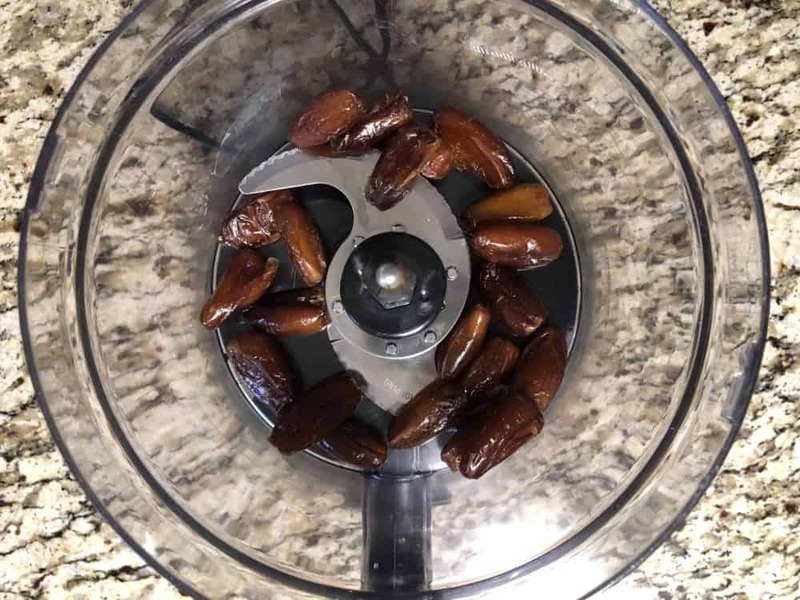 Place 20 pitted dates in a food processor. 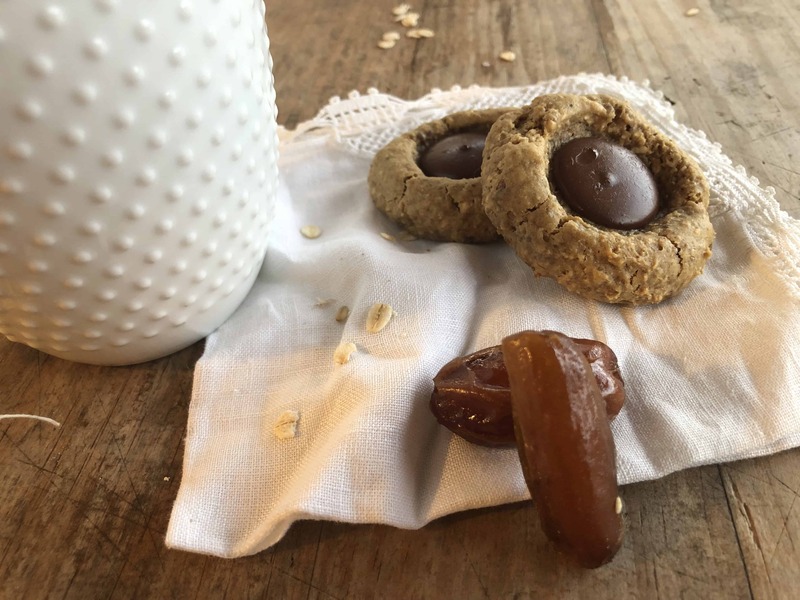 I love to buy these pitted dates in bulk because I use them to sweeten morning oats or as a healthy way to satisfy my sugar cravings. Pulse the dates on high for about 30 seconds on and off. You want them broken up in smaller pieces. They will start to clump up a bit together as you do this. Next you will add one cup of peanut butter to the dates and pulse on high for another 30 seconds. 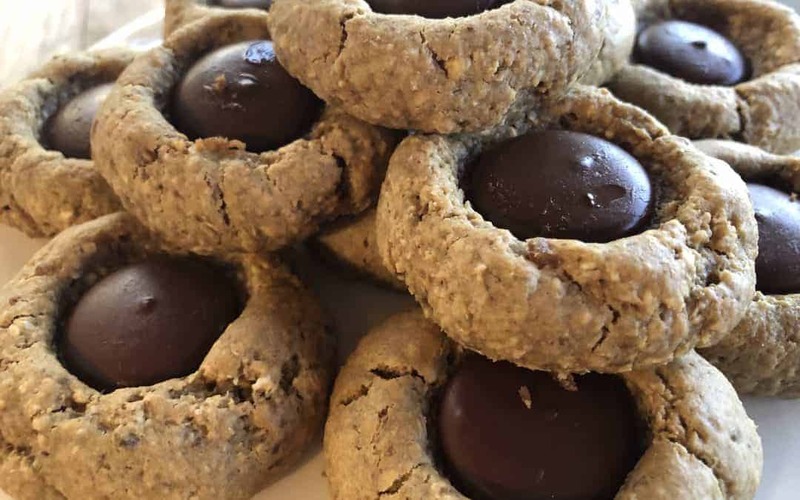 Once the peanut butter and dates are combined and relatively smooth, add 2 eggs, 1 tsp of baking soda, 2 tsp of vanilla, and 1-2 tbsp of honey (optional if you want a sweeter cookie). Once again pulse on high for about 15 seconds. Next grab that oat flour you made earlier and dump it in the food processor. Pulse on high for about 20 seconds. Stop and scrap down the sides. Pulse again until evenly combined. 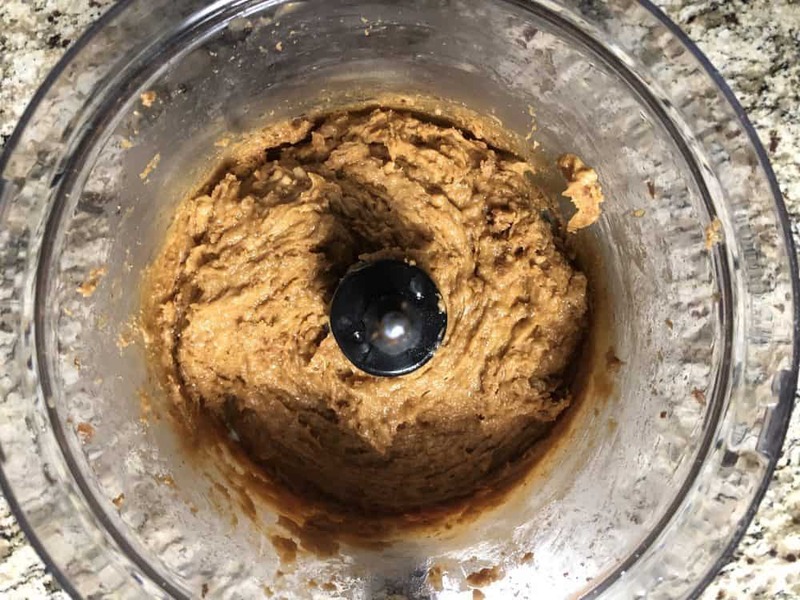 It will start to get hard for your food processor to mix the dough at this point so if there is any uneven parts, go ahead and hand mix the dough with your spatula. Here is a closeup of the dough. Next you will want to grease a cookie sheet with a bit of coconut oil. After that roll the dough into 1-inch balls with the palms of your hands and spread apart evenly on the greased cookie sheet. You may find that the dough sticks to your hands a bit. If that is the case, wet your hands with a little bit of water in between a few cookies to prevent sticking. Now take the chocolate chips and place them in the center of the cookie ball and press down to make a thumbprint. I love using these chocolate chip wafers because of their minimal ingredients, buttery smooth texture, and perfect size for peanut butter cookies. If you want you can completely skip adding the chocolate chip wafers and just use a fork to press the cookie dough down. The chocolate wafers do have sugar in them so if you are trying to completely avoid sugar, you will want to omit this step. Now you will bake the cookies on 325 degree farenheit for 10 minutes. Remove and allow to cool for about 5 minutes before you remove the cookies from the cookie sheat. This recipe will yeild about 24 cookies. They pair well with some hot tea or coffee! 1 chocolate chip wafer for each cookie. Place 2 cups of flour in food processor and pulse on high until becomes a fine flour. Remove flour and set aside. Add 20 pitted dates to food processor and pulse on high for 30 seconds. 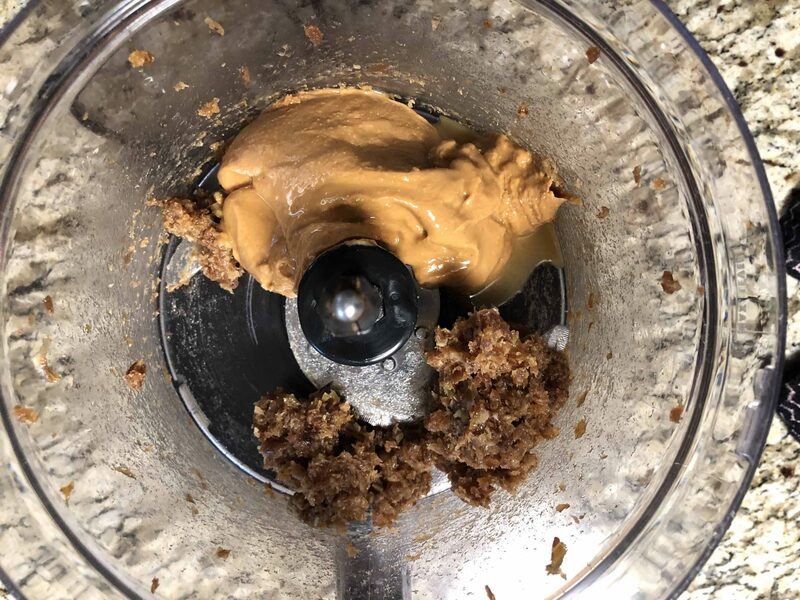 Add 1 cup of peanut butter to dates and pulse on high for 30 seconds until well combined, scraping down sides as needed. Add 2 eggs, vanilla, baking soda, and honey to the mixture and pulse to combine. Return oat flour to the mixture and pulse on high to combine. 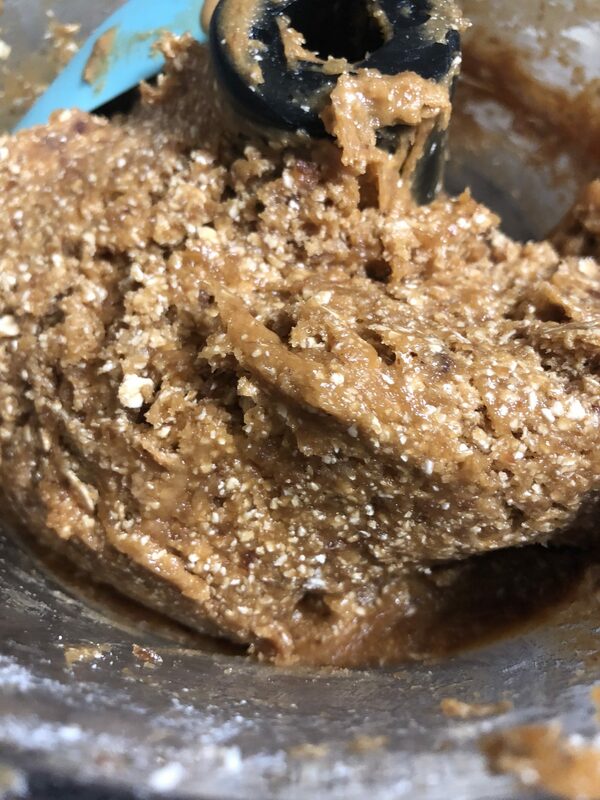 You may have to hand mix to fully incorporate the flour as the dough will become sticky making it hard for the food processor to mix. 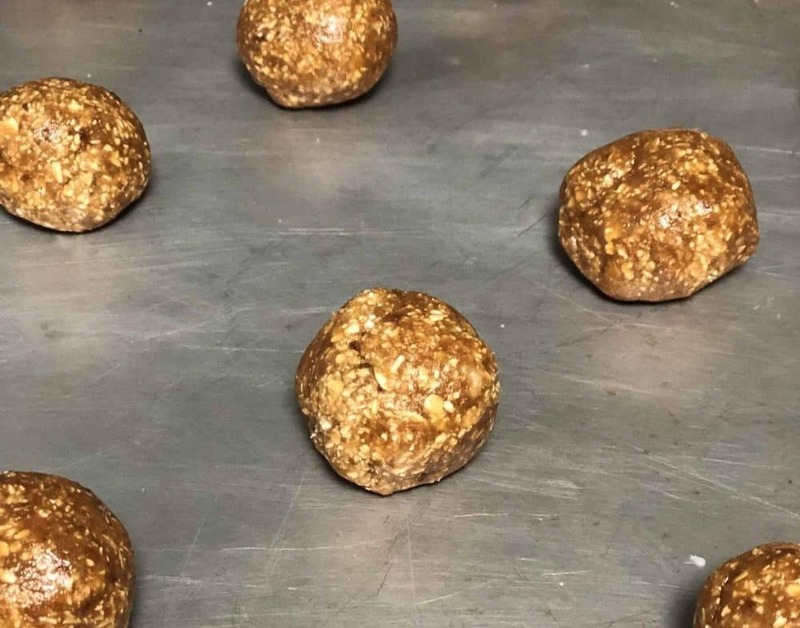 Grease a cookie sheet with coconut oil and roll the dough into 1 inch balls. Spread them out evenly on the cookie sheet. Place 1 chocolate wafer in the center of each cookie and press down to flatten. Bake on 325 degrees for 10 minutes. Remove from over and allow to cool on cookie sheet for about 5 minutes.